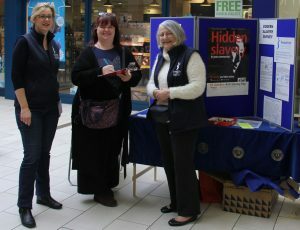 Soroptimist International Great Britain & Ireland (SIGBI) UK Programme Action Committee (UKPAC) www.sigbi.org/ukpacworked with Anti-Slavery groups and did a survey about the level of understanding of people in the UK wrt trafficked people and modern day slaves. 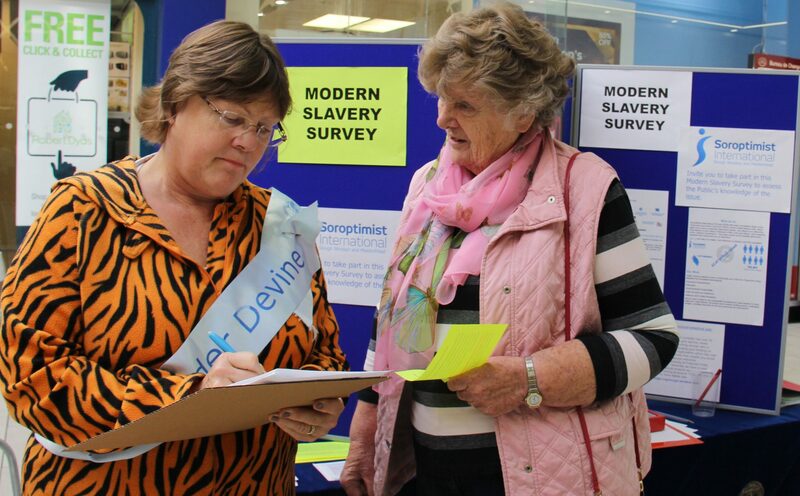 The survey could be completed on paper or on-line. 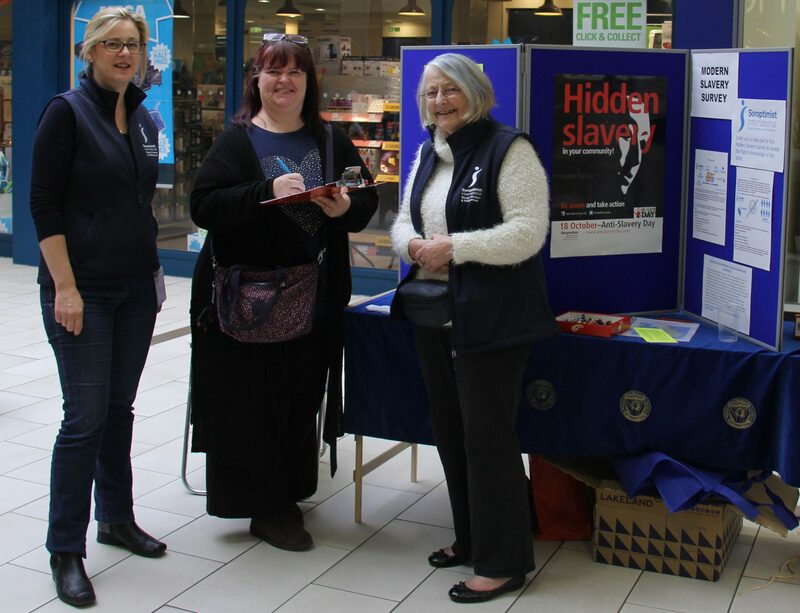 For the paper based survey, Soroptimist International Slough Windsor & MaidenheadClub had a stall in Nicholsons Shopping Centre in Maidenhead, organised by Jackie Paling. This location was chosen because the month before there had been some arrests to do with trafficking in a house on an estate in Maidenhead so was very appropriate. By 2pm when Club members packed up they had done nearly 40 paper based surveys. At the time of writing the Club has now received 122 paper surveys.The Club had articles published in the local press both before and after the Maidenhead event.